The weather is so wacky here. Last week it was in the teens with ice on the ground and had everyone homebound. Texans freak when there is ice on the roads. Ice on the road for 4-5 days makes for some crazy cabin fever in Dallas. This week, we have had two days in a row at 70 degrees. I am serious! Nonetheless, I have a meal plan filled with lots of easy recipes that all have a range of cooking options and still include winter-like recipes and comfort food. Bean and Cheese Tostadas– easiest dinner on the planet. And the cleanup is easy too. Served with Puerto Rican Rice. 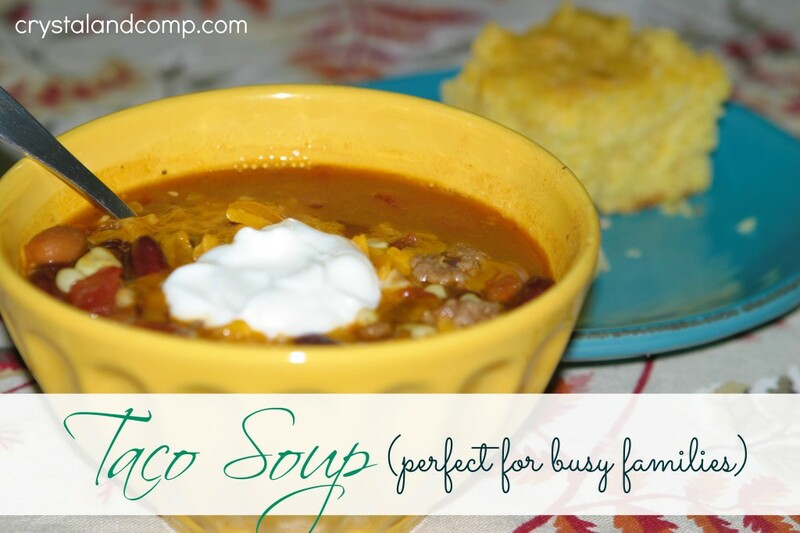 Taco Soup– made on the stove. Served with cheese, tortilla chips and sour cream. Spaghetti and Meat Sauce– I am addicted to Trader Joe’s marinaria sauce and it is only $1.29 a jar. The flavor is awesome. Baked Pomegranate Salmon– I have this idea after buying pomegranate seeds at Trader Joe’s a couple of weeks ago. Have you ever had them over salad? Yum! My idea is to take pomegranate juice and hoisin sauce to make a marinate and bake them. Then top with the pomegranate seeds. Sounds good, right? Served with salad and rice. Homemade Pizza– yum! Served with fruit. Make sure you print out my free printable meal planner that is themed for December! You’re gonna love it!